The F&BKP has co-organized together with the Netherlands Working group on international Nutrition (NWGN) and the Dutch Ministry of Foreign Affairs, an action-oriented discussion event. The lively event was aimed at making Dutch policy makers and practitioners aware of the findings of the Global Nutrition Report, and to find practical ways to scale up Dutch efforts towards achieving nutrition security. In May 2018, the F&BKP is supporting an expert meeting of NWGN focusing on how to make agricultural programs work for nutrition, and which approaches to use to measure progress. The Netherlands Working Group on international Nutrition (NWGN) is a network of NGOs, knowledge institutes, the Dutch Ministry of Foreign Affairs and private sector organizations. 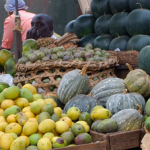 The NWGN’s mission is to promote inclusion of nutrition specific as well as nutrition sensitive approaches in development policies and strategies of Dutch stakeholders. 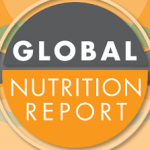 The members of the NWGN support the vision of The Global Nutrition Report (2017) stating that “improvements in human nutrition represent both a maker and a marker of sustainable development”. The NWGN believes that improving nutrition contributes to the achievement of all SDGs in a direct or indirect way, while vice versa the achievement of many of the SDGs contributes to improving nutrition. For more information, visit the NWGN website.